General lighting in a home is an interior design piece that most don’t often pay much attention to when aesthetics are involved, but, if you are building a new home or undergoing a home renovation, you may want to consider recessed lighting as a part of the lighting design. Lighting design can create a specific ambiance to draw in or hide specific aspects of a room, and recessed lighting is one way to add layers of lighting depth to your space. At Shelby Design Center, our lighting showroom has a vast inventory of recessed lighting to help meld lighting aesthetics and function to any room! 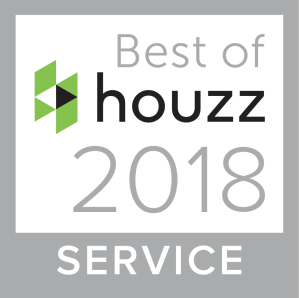 Some equate recessed lighting with the 80s and 90s home design culture, but recessed lighting can be tasteful while doubling as a functional light source. When recessed lighting is paired with general lighting in a room, it can provide additional lighting in a very clean, streamlined presence. It can also draw in and highlight things such as artwork and sculptures, or illuminate your kitchen for improved light for chopping precision! Recessed lighting is also great for smaller spaces because it illuminates the entire room, making it feel larger and more expansive. 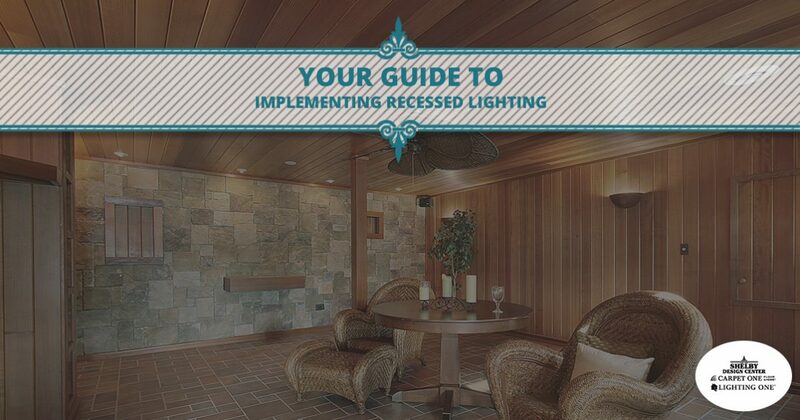 When should recessed lighting be implemented? Recessed lighting is best incorporated into new home builds or home renovations because these lights sit up within the ceiling, however, there are lighting designs that can be placed within an existing ceiling. Where should recessed lighting be placed? While everyone has a different design aesthetic, you should avoid placing the lights too close together or in rows — this can create a harsh, uninviting home atmosphere. A common design practice is placing four-inch recessed fixtures at least four inches away, and the same rule applies to six-inch fixtures. If you are looking to feature an item or object, place the recessed fixtures 12 to 18 inches from the piece you want to highlight. While task lighting may be a better option for a space for reading because it is closer and easier to direct, recessed lighting may be used as well. Carefully place the fixtures overhead so as not to be blocked by the head or shoulders. Take into account the architectural features of your room — do you have a fireplace, kitchen island, or table that needs optimal light? Recessed lighting can be directed to these features and provide optimal lighting from three different angles. Placing small recessed lighting beneath your kitchen cabinets is a great way to provide focused lighting to your countertops for reading recipes, a night light, or food prep. Are there any areas where recessed lighting should not be used? If you are installing concrete or highly intricate plaster for your ceilings, recessed lighting may not be an ideal option. Instead opt for more traditional lighting such as ceiling sconces or a chandelier. Recessed lighting is a wonderful addition to any home because of its functional aspects and its ability to feature artwork and architectural facets of any home. 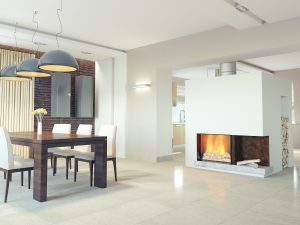 To learn more about the recessed lighting we carry, connect with us today!